We at SUNGEN (www.sungen.com) would like to introduce our company Sungen International Ltd, a part of the Anwell Group, Headquartered in Hong Kong with PV module production facility in Henan, China, for 250 MW Thin-film (a-Si single junction solar cell) and 150 MW (Crystalline) solar panels. We offer highly competitive rates for 3Wp to 100Wp Thin-Film and poly-crystalline 3Wp to 300Wp solar panels. 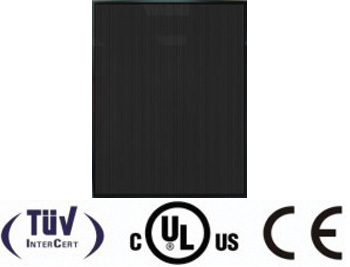 Our PV modules are TUV and IEC certified. SUNGEN has regional offices in North America, South America, Europe, Middle East and Asia which provide after-sales services for a customer support. SUNGEN develops and manufactures photovoltaic system (c-Si and a-Si solar cells technology) poised to meet the solar power needs of the global solar energy market. Our products include a new generation of thin-film amorphous silicon PV modules and the traditional mono-crystalline and poly-crystalline silicon solar cells and solar panels. Backed by Singapore Exchange-listed Anwell Group, SUNGEN was founded in Hong Kong, China. 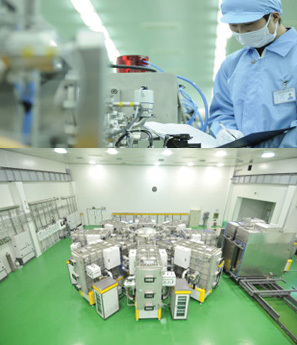 In Anyang, we invested in an internationally-certified solar manufacturing to provide our customers high quality production of an amorphous Silicon (a-Si) thin-film solar panels, at an annual capacity of 150MW (in a single line the highest capacity in the solar industry) in 2011. Our specialists have an expertise and experience in vacuum technology and process engineering of the Anwell technical team, so SUNGEN Thin Film solar panels are manufactured on fully automated PV production lines, namely the Anwell SunLite-150 turnkey solution. SUNGEN will make sure that our products are of the best quality before shipping them to the customers. As a leading a-Si, mono-Si and poly-Si solar panels supplier of the world, we strongly believe that solar energy is the future solution of electricity, and SUNGEN is your partner for PV module. SUNGEN offers a wide range of small, medium and large crystalline solar panels optimized for every needs. The Sungen-S Series solar panel is a thin film photovoltaic module with a-Si solar devices monolithically integrated. The optoelectrical features are stabilized values and measured at Standard Test Conditions: Irradiance 1000W/m2, Spectrum AM1.5 at 25oC. •	Water-protected connector system, easy for installation. 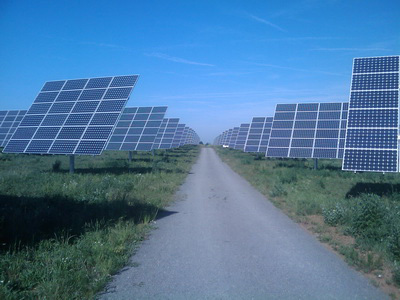 Anwell secures $20 million Thin Film Solar Panel Order for Indian Solar Farm (July 19, 2011)! We won a contract worth approximately US$20 million to supply the Group’s in-house produced amorphous silicon (a-Si solar cell technology) Thin-film solar panel for a solar farm project in India. The thin film panel has been scheduled for delivery in the second half of this year. It is a strategy of an expansion into India’s lucrative solar market and is opportunity to participate in aggressively expanding solar power market. The Government of India has rolled out its National Solar Mission, a major 3-phase solar roadmap to meet a 20GW large scale grid-connected solar power capacity target by 2022. Quality: Thin-film has free from defects in material and workmanship for 5 years. SunGen PV modules are field tested to provide industry leading reliability, high yield performance, and positive tolerance output that is guaranteed under 25 years peak power warranty: maintain more than 90% minimum rated power for 10 years and 80% minimum rated power for 25 years (according to IEC 61646, IEC 61730, UL 1703).Our moduls are widely installed throughout Germany, Italy, Australia and the Unated States. Enjoy and make a benefit from the sun for an unlimited supply of electricity with a set of SUNGEN solar panels. Our Product Brochure is here: SUNGEN catalog2010-4-2. If you have any requirements please feel free to call us, SUNGEN is your trusted partner. 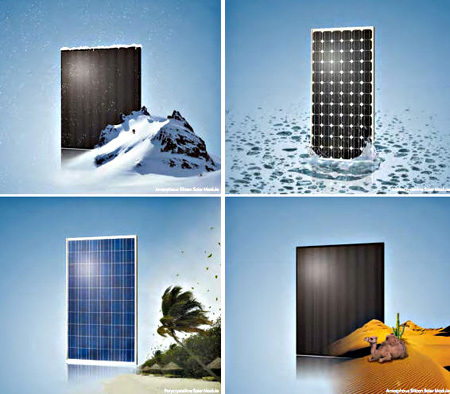 « ADVERTISING in solar industry!